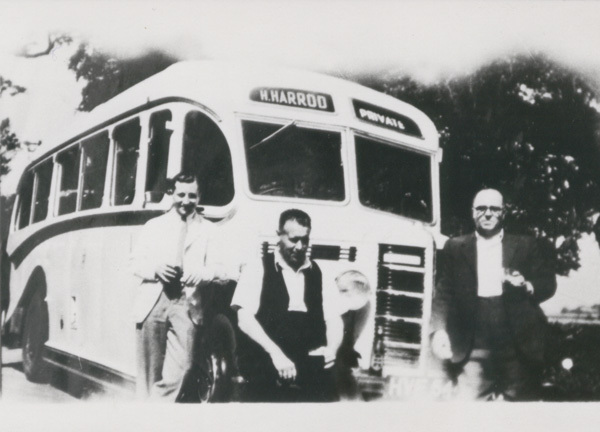 D & H Harrods (Coaches) was started by Mr Herman Harrod in 1927. Back then, it provided a variety of services including trips to darts and dominoes matches, church outings, group outings to London – and was still a one-vehicle business when he died in 1965. Herman’s wife, Dolly, (pictured on the left) then learned to drive and became one of only half a dozen lady coach drivers in Norfolk at the time. As she built up the business, the number of coaches gradually increased to eight, before Dolly retired in the 1990’s. As decades have passed Harrods have kept up to date with their coaches from vintage to modern. From the original coaches with fish bowl windows to modern sleek vehicles. However Harrods have just stepped back into time with a Bedford Bella Vega Vintage coach joining their fleet. Today the business is still operated by The Harrod Family, who follow the traditional values Herman and Dolly Harrod set all those years ago, but use today’s modern methods. The coach company originally set up in the village of Wormegay where founder, Herman Harrod started, but moved to Downham Market in 2005.